If you’d like to be notified of new posts, let me know via the Contact page and I’ll add you to my subscribers’ e-mail list. The Clawbies have kindly awarded this blawg runner-up as best legal culture blog, 2016. Thank you everyone at Stem Legal/The Canadian Law Blog List, Steve Matthews, Emma Durand-Wood, the late Simon Fodden, and Jordan Furlong. Section 33: Parliament or the legislature of a province may expressly declare in an Act…that the Act or provision thereof shall operate notwithstanding a provision included in section two or sections seven to 15 of this Charter. Ontario premier Doug Ford’s promise to invoke the notwithstanding clause – so that he immediately can limit Toronto City Council to 25 councillors, notwithstanding Justice Edward Belobaba’s decision that his current attempt to do this, out of the blue, in the middle of the council’s election campaign, is unconstitutional – is not the first time that section 33 of the Canadian Charter of Rights and Freedoms has become a household phrase across Canada. Remember Aught-Six? That was the federal election year that pitted Paul Martin’s Liberals against Stephen Harper’s Conservatives. During a leaders’ debate, Paul Martin said that, if re-elected (which he wasn’t), he would repeal the section. The proposal never made it into the Liberal platform, however, probably because of the bizarre hoo-hah that rose against Martin’s promise, but also because of the near impossibility of getting two-thirds of the provinces with at least fifty percent of the country’s population to approve a constitutional amendment … after the amendment had received Parliamentary approval. Of course his mistrust has been justified over the years, but only rarely, and probably no more than now, in Ontario, where the section has been invoked because the premier is trying to replant the Ford nation flag in Toronto. Bizarrely, he doesn’t seem to comprehend that becoming premier of Ontario is more than compensation for his losing the Toronto mayoralty race to John Tory. Mind you, Ford betrayed his motives, and displayed his lack of acumen for the job as the province’s chief lawmaker, by claiming that, while he was elected by the people, Belobaba J. had been appointed by Dalton McGuinty, the former Liberal premier. Apparently Ford is so impressed with his new powers that he believes he can run Toronto City Council (and flip the bird at Tory), but also appoint Superior Court justices. The latter are, in fact, appointed by the prime minister. Justice Belobaba was appointed by (irony alert) Paul Martin. a lousy translation of the Latin phrase non obstante, common in our law from the 15th century and used regularly, until recently [when we “democratically” dumbed everything down by eradicating all Latin from juristic usage], in Canada’s legal discourse. Non obstante first appeared on the rolls of the English Parliament in 1444, regarding ‘notwithstanding clauses” in grants of patent. The full original catch phrase, now usually reduced to “notwithstanding anything in this Act” or “notwithstanding” certain provisions, was non obstante aliquo statuto in contrarium – literally, “other statutes being no barrier to” what this particular statute says. In the context of section 33, if statute X were said to operate non obstante Charter sections two, etc., statute X would exist in a universe separate from the Charter. The Charter would “be no barrier” to the validity of statute X. As I concluded in 2006, Martin’s repeal proposal “was a risky and strange thing, but it was not an ignoble thing. And this got lost in the translation.” Funny how short our memories are these days, and not just because of that other impulsive authoritarian south of the border. The second of two posts about the time I was a teenage prime suspect, until I slid extravagantly off the Wanted List in my own tears and sighs… Read Part One here. In any event, I now understood why the police felt compelled to question me. My shock and profound hurt were not about whether they had reasonable and probable grounds; it was about injustice, that my former colleagues had dropped me in the soup, with no forethought, compunction, or sense of irony. Clearly they had felt nothing for me, knew nothing about me, and didn’t want to know. So, without consulting Herbie, who throughout the whole business remained blasé (yes, possibly because I was more than sufficiently outraged for the both of us), I offered to take a polygraph. I pretty well dared the detectives to administer it, which seemed to surprise them, but they accepted the offer. Cousin Herb drove me back to Littleton, where the detective introduced us to the polygraph examiner. As Herb and the detectives watched from behind a one-way mirror, the examiner chatted with me for what seemed a couple of hours but probably was considerably less, mostly about the polygraph process. And as a pedant even in my youth, I had to admit that I found his monologue fascinating, such that I had just about forgotten that I was accused of what was possibly a felony. Apparently that was the reaction the examiner had intended, and it was why Herb congratulated him when it was all over, for a job well done. And yes, as my lawyer made nice with the authorities like this I experienced the hot flush of what I have come to recognize as the client’s “What the hell?” moment, as when your lawyer calls opposing counsel “my learned friend” or chats in a friendly way with the court clerk or the woman prosecuting you. What the hell? It turned out that, upon answering questions even of this utterly innocuous nature, my chest expanded and then deflated so extravagantly under the measuring strap, he could tell I was “unusually conscientious.” The extravagance was especially convincing, apparently, on more contorted questions such as “I was Jeffrey Miller the day before yesterday and I still am today.” “The machine says that you thought carefully before answering those baseline questions,” the examiner said, “to be accurate even on things you knew were not in question.” Apparently – absurdly – I thought just as hard about whether I had ever taken a typewriter belonging to a daycare centre. I remain that sort of nebbish, albeit a nebbish now with a licence “to practise before Her Majesty’s courts.” Reflexively, I am prone to think the worst of myself, worse even than others might, no matter the evidence. It might have been transference or the Stockholm syndrome, and it certainly was unmitigated relief, but by the time we were done I felt that the examiner and I could have been best friends. I think I probably wanted to hug him, which is another reason I suppose I can forgive Herb his praise of the guy. The examiner remained politely non-committal. I gushed an apology to the detectives for my earlier outburst, and, to their credit, they actually seemed abashed (never mind their having arranged the polygraph exam). Maybe that was the spillover of my transference, but I imagine they got yelled at a lot, albeit not generally in the way I had done, in words of two, three, or more syllables. Still, as my first experience with a lawyer reached its denouement, Herb seemed a little chummier with the cops than I thought he had to be. But of course, at the time, all I understood was my own hurt, never mind what I learned later to call exculpation. I did not see that it was in the interest of Herb’s future clientele, and possibly good spade-work for future advocacy not to mention politics, that he develop good relations with the prosecution. And even though whatever injustice existed was mild compared to the graver injustices of the world, I felt the hurt of this for decades. I haven’t been able to write about these events until now, forty-five years after they happened, never mind that I have mined and retailed just about every other experience of my life in my long career as a writer, most often on legal subjects. But like probably every painful event, they have sharpened my acquaintance with justice as against law, a distinction that has permeated my work, but also my life and most adamantine principles. A couple of years ago I started writing a memoir called Hauled to the Bar: A Life in Law and Letters, in Spite of Myself. I haven’t worked on it much, partly because of the uncomfortable memories, such as the one below, that is meant to serve as the prologue. To make for easier reading online, I have divided it into two posts. Before I went to law school in 1979, at the age of twenty-eight, the only lawyer in my family was my third cousin, Herbie Galchinksy. During my childhood in Denver, I saw him maybe a couple of times, at a wedding or a bar mitzvah. But suddenly, when I was twenty-two, nasty coincidence threw us into an intense lawyer-client relationship. Within the month, I was scheduled to fly to Canada to begin my studies in the Graduate English Department at the University of Toronto. But now those plans were looking sickly. A day-care centre whose employ I’d recently left, to take up selling blue jeans and dashikis at a trendy clothing shop nearer my home, had been burglarized. I was the prime suspect. Cousin Herb would later become a Denver County judge, and notorious as “Herbie the Love Judge” for augmenting his $141,156 government pay with about $63,000 in fees (at least in the year reported by the Denver Post) by moonlighting as an officiant at weddings. But his unromantic job of the moment, in August, 1973, was to accompany me to police headquarters in Littleton, a suburb of Denver now notorious as the site of the Columbine High School shootings. While I was at a movie matinee in Denver proper, two Littleton detectives had visited my parents’ home looking for me, and left a message requesting that I book an appointment to meet them at their station. My only connection with Littleton was the daycare centre. Mystified – panicked – I called my former boss, the director of the centre, to ask if she might know what the police wanted. She had no idea, she said. Which of course was a lie. When the police first questioned me, it became clear that someone had broken into the place and stolen some equipment during a weekend, and what my former colleagues had told them put me in the frame. I had, after all, left the centre once the atmosphere had soured, never mind that I naively had imagined that this had blown over. 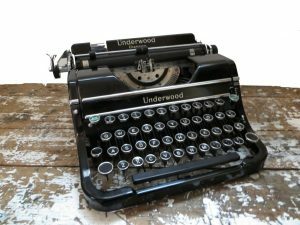 In any event, it was probably obvious – particularly once I broke down sobbing and shouting at the detectives in an incredulous rage that I had no idea about any break-in or missing typewriter (What typewriter? 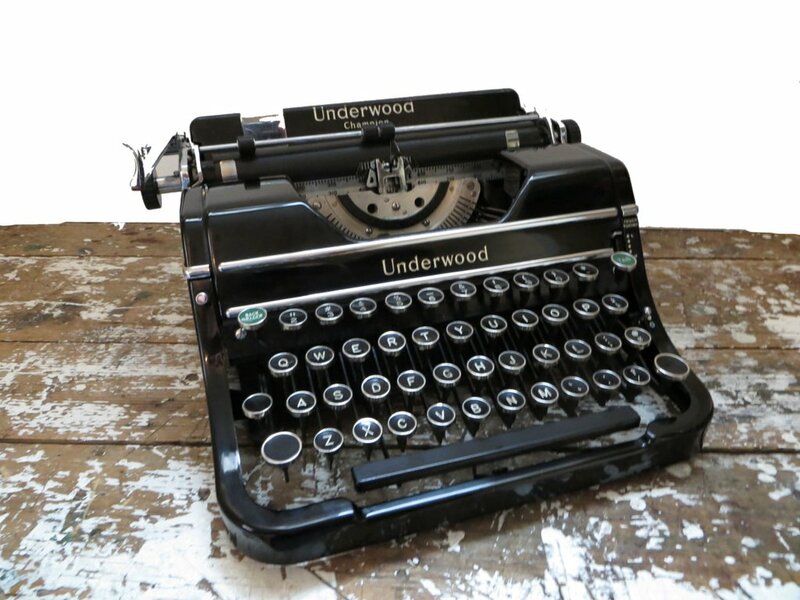 I have my own typewriter! We have three at home! My grandmother is a stenographer for the state!) – that I was the sort of soft, bookish, please-and-thank-you nebbish who made a particularly unconvincing hard case, unsuited, as I blatantly was, to the historic craft of housebreaking by night. As a criminal, I made a great Woody Allen in one of my favourite films of the day, Take the Money and Run, except that I was even more ill-suited to crime. I think even Herb was unsettled by how viscerally, reflexively, not to say mucous-productively wounded I proved to be. But then he was unaware that I was still recovering from two years of a clinical depression (not at all trendy, or understood, in the way of today) that had meant I rarely left my room, books, and music, let alone loitered with intent at daycare centres outside the city. Landing a job and working at the centre had been a giant step. To begin with, it required a forty-five minute drive in my father’s rattling old Oldsmobile (once, in a flash flood that rendered the brake drums slitheringly useless, so that I had to stop the old tank by running it into a curb), which fact I vaguely recall I tendered, or, more precisely, bellow-choked out in semi-coherent outrage, as further evidence of why I couldn’t and wouldn’t have been the burglar. But the cops had “evidence.” To begin with, there was that day I mentioned to a colleague at the daycare centre, a tall, prim, angularly attractive middle-aged “teacher,” that I thought the staff were unjustly, relentlessly hard on one of the boys in our care, an older kid who clearly had a rough-and-tumble home life. I was the only male staff member, bearded, young, Jewish, pedantic, which I now think seemed odd enough to my very conservative and not very sophisticated suburban colleagues to provoke distrust or resentment – never mind that I was probably hired as a “male influence.” I suppose that as a contextual (and otherwise lifetime) misfit I was moved to speak up for the boy, or at least that was why I empathized with him. The “teacher” reacted in highest dudgeon, shouting at me in my not altogether invisible fragility (I now think she sensed it and pretty well jumped on it), with the staff all around us, which – to my shame even now – so rattled me that I collapsed into a chair before breathlessly apologizing and trying to explain myself. 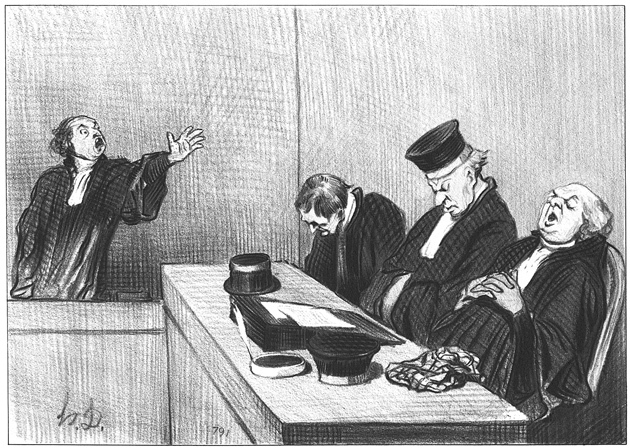 As we shall see, although I am uncommonly good on paper and its oral cognate, prepared speechifying, I never did become much of a viva voce advocate, even for myself. Anyway, that argument had been weeks in the past, and in the interim I seem to have joked with another staff member, in aid of something by-the-way and unmemorable, even back then, until the detectives reminded me of it. Trying to make small talk, I replied to some passing gripe of this second colleague’s, a crabbed young woman around my age, words to the effect that, in such a situation I would get revenge. It was that jocular, forgettable, and absurdly against my character, probably in a melodramatic, bad-guy tone that indicated my misfit’s attempt at humour (which habit still gets me into trouble). But she remembered it, resonantly. After my resignation, this colleague, younger than the other woman and twice as stupid, reported the remark to the police, teaching me an important lesson about the grave dangers of circumstantial evidence, a lesson that has affected the rest of my life, at the bar and elsewhere: your innocent words and actions can and will be used against you, in ways you never would have dreamed. Given the right inclination (which is to say reflexive prejudgment), people will add one and one to make thirteen. And day to day you don’t always have the shelter of the constitution. I’ve often wondered since if right-wingers in the U.S. (including conservative justices on the country’s highest court) would be so keen to overturn Arizona v. Miranda (the “you have the right to remain silent” case) if they were wrongly accused of a crime. But then, as a kid who spent the first eight years of my schooling, during the 1950s and 60s, as the only Christ-killer available on the playground for such derision, I perhaps should not have been naïve about this. People who disappear without a trace. It’s a staple of thrillers in fiction and on-screen. Now the Supreme Court of Canada is getting in on the, uh, fun. But the thrilling aspect for lawyers is how the high court might parse the difference between a presumption of life and a presumption of death. 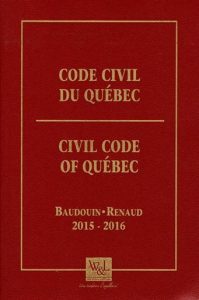 We don’t often think about comparative law within our own country – the fact that we have two distinct legal systems, Anglo-Canadian common law and Franco-Canadian civil law. But now comes (or goes) poor George Rosme, formerly a professor at Carleton University in Ottawa. To fund his retirement on a Quebec farm, Rosme had opted for Carleton’s life-only pension. It provided higher monthly benefits than pensions that continued payments to survivors after the pensioner died. Rosme had a survivor in a loose sense – his former life-partner and the “tutor” of his estate (his guardian or attorney), Lynne Threlfall. She lived in a separate dwelling from Rosme on the farm, and they remained close. An absentee is a person who, while he had his domicile in Québec, ceased to appear there, without giving news of himself, and without it[s] being known whether he is still alive. An absentee is presumed to be alive for seven years following his disappearance, unless proof of his death is made before then. This “presumption of life” is distinct from the law prevailing in the rest of Canada regarding an “absentee.” In a circumstance like Threlfall c. Carleton University the rest of Canada generally operates under a presumption of death. That is, drawing on British common law, after seven years of absence without reasonable explanation, we assume the absentee has died. 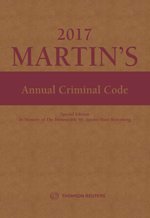 The seven-year rule dates from at least the seventeenth century, although in this country it is often modified by statute. British Columbia’s Presumption of Death Act provides that where “(a) a person has been absent and not heard of or from by the applicant, or to the knowledge of the applicant by any other person, since a day named, (b) the applicant has no reason to believe that the person is living, and (c) reasonable grounds exist for supposing that the person is dead, the court may make an order declaring that the person is presumed to be dead for all purposes, or for those purposes only as are specified in the order.” Again, there is common law precedent for dropping the seven-year requirement, as where someone “was last seen on the deck of a ship just before she sank” (Jowitt’s Dictionary of English Law, Second Ed.). True enough, even under the presumption of death, we assume that the absentee is alive until there is evidence to the contrary or seven years run. But a presumption of life imposes certain positive obligations. To comply with that presumption in the Civil Code, Carleton reinstated Rosme’s pension payments. Then, just short of six years following his disappearance, a neighbour’s dog found his body in the woods near his home. 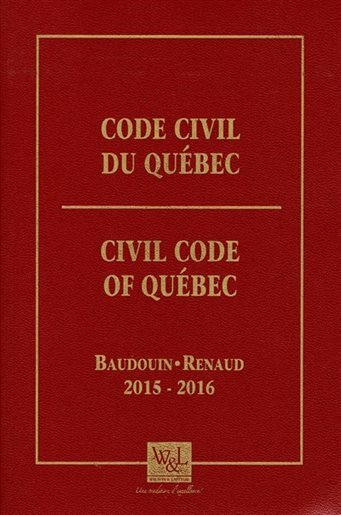 The Quebec Registrar set his date of death as the day after he disappeared. Carleton had paid almost $500,000 to him during those years, and it wanted the money back from the estate or Threlfall. She argued that, insofar as the Code obliged Carleton to pay the benefits until there was compelling evidence of Rosme’s death or seven years had passed, the money belonged to the estate. But the Quebec Court of Appeal affirmed a ruling at trial that the funds had to be repaid. The presumption of life was rebutted (overcome) by the finding of the body, such that the estate (and Threlfall as its beneficiary) would be unjustly enriched if allowed to retain it. In other words, the payments were conditional on Rosme’s having been alive each time they were made within seven years after his disappearance. Certainly under Anglo-Canadian common law we would say there is a strong argument that the estate was unjustly enriched and therefore must make restitution: corpses, wherever they might be, are not entitled to life-only pension benefits. Having just granted Threlfall leave to appeal, the Supreme Court must now decide whether the restitution requirement can be inferred from other provisions of the Civil Code, or, more simply, whether by its very nature the presumption of life, like the presumption of death, is rebuttable with retroactive effect. See Wasylyk v. Wasylyk, 2012 ONSC 7029 (CanLII), paras. 9-10, citing Doe d. George v. Jessen, 102 Eng. Rep. 1217 (K.B., 1805) and Nepean v. Doe, 150 Eng. Rep. 1021, at 1028 (Exch. 1837). See also R. v. Vader, 2016 ABQB 505 (CanLII). Having spent many years in legal journalism and as a writer of books, I entered law practice later in life. When I was in law school more than a decade before these events, I’d thought I wanted to work in criminal law, Crown side. But more lately the opportunity had arisen to article with the country’s senior practitioner of libel law, Julian Porter. After my articles, I became the tenth barrister at the Bay Street boutique litigation firm. One of my jobs as articling student and junior associate was to screen out the cold-callers – generally the people who would phone us during the week, especially after Julian had been on television or in the papers. Typically, these callers were livid that they had been defamed by their boss or their mother-in-law, whom they were bound and determined to sue. Some might already see a potential ethical issue here: screening possible clients might be good training for the student, but how safe is it professionally? I was giving preliminary legal advice, unsupervised. But of course we weren’t retained (or was I? More on that anon…), I had much greater experience of substantive law than most students-at-law (as I say, I was new to law practice but older and not at all new to the law), and the partners understood that I would bring sticky situations to them. Mind you, there was also the business concern, given that I generally persuaded the callers that they didn’t have a case, or even if they did, they would have to mortgage their houses and futures for the privilege of three years of terrible, unrelenting stress. Typically I would quote them the advice of the American trial lawyer Louis Nizer: when you get splashed with a bit of mud from a passing car, it’s a bad idea to smear it around. Wait a few minutes for it to dry, then flick it away. Often, the same goes for mud slung at you metaphorically. I thought it my ethical duty to point that out, where other counsel might have taken a retainer less hesitantly (scrupulously?). In any event, one morning during my articles, Betty, Julian’s secretary (this was before we had “administrative assistants”), buzzes me: “There’s a guy on line three, he says people are slagging him off in a bar. He wants to sue them.” Oh, goody, I think, another one of those. So, yes, it turns out it’s the guy’s watering hole and he says that the other punters there are putting him down. I give him the mud line, I explain how libel and slander actions are generally a rich person’s game, I explain to him the defences of truth (“justification”), fair comment, qualified privilege. I talk about the stress of litigation, how slander actions are rare birds that can bite back, while consuming three, four years of his time and spirit, never mind his paycheque. But right after I hang up, I start to panic. I don’t know this guy from Adam. He sounded like a nice fellow; he was feeling hurt; he wanted my help. I don’t want to sic the cops on him if he’s just been making a casual joke. That wouldn’t be good for anybody, and certainly not for my chances of being hired back at the firm. On the other hand, what if life and limb really are at stake? The guy feels aggrieved; I’ve just told him that he probably has no legal recourse. So I scamper to the senior partners. My articling principal, Joyce Harris, a woman of deep experience who rose in the profession when female counsel were rare and not well tolerated, listens carefully to my narration of the call. Then she phones the guy and grills him on speakerphone, with half the firm present – a textbook cross-examination that itself is an education. Joyce makes it clear that we’re considering involving the police. The ethics there? Well, if the guy had been hassled by the police about the matter, he might have argued that he thought there was solicitor-client privilege – that I was retained – because I did give him some advice. But this was a cold call, by him, that resulted in a preliminary, pre-retainer discussion. Any idea of a relationship would have been what is sometimes called a ghost retainer, supernatural, imaginary. Most barristers would say the same, I think, although our firm still could have had a hassle over the contrary argument. Then again, there was the possibility of an incipient crime. Which raised my immediate ethical problem and brings us back to Joyce. The guy was cooperative with her, and a little sheepish. He reiterated that he’d been joking. We felt reassured. But after hanging up, Joyce took one further step. If you’ve encountered the so-called bloody-shirt problem of legal ethics (where a client lands counsel, his retained lawyer, with incriminating evidence), you will have a good idea of what it was. Joyce called the practice advisory division of the law society, and got the view of counsel there on how we’d handled things. This of course gave us another senior, earnest, and – most important – official look at the matter. Not to put too fine a point on it, it helped cover our behinds with the professional regulator. Practice Advisory (another deeply experienced barrister that day, whom Joyce knew well) said that as long as we were convinced that the guy was no actual danger to the public, we seemed to have managed the problem effectively. And sure enough, we heard no more about it. But it was one of those sweating-bullets incidents that most lawyers can recount from their articling days. I have a good few, some more of which I hope to share in this blawg. Websites: If you continue to allow internet access to material once it’s banned by a court, are you in contempt for “publishing” that material after the ban? Law school exam question: In a news report on its website, the CBC names an Alberta girl who was murdered. Twelve days later, during the accused murderer’s first appearance in court, the judge bans publication of the girl’s name. From then on, the CBC does not name the girl in any of its stories. Does it also have to remove her name from website stories posted before the ban? This is the context of CBC v. The Queen, released last Friday (Feb. 9, 2018) by the Supreme Court of Canada. The larger case could well establish new law on what Canadian legalese means by “publishing.” Does the word include permitting internet access ad infinitum? Under some influential provincial law, defamatory material on a website is said to be published or broadcast every time someone “accesses” it. Related law also says that transmitting amounts to publishing. The Alberta Crown has argued that these principles should apply in the CBC website case – that, by not taking down the girl’s name, the CBC is in contempt of court, because it is still publishing her identity. Usually, disobedience of a court order is a civil contempt. The prosecution still has to prove it beyond a reasonable doubt, but it is not criminal (supposedly more serious, although these days, business-people and battling spouses flout court orders so arrogantly that the penalties can be severe for their “civil” breaches) unless the disobedience is public and undertaken with the intent or knowledge that the court’s authority will be, or is likely to be, undermined or depreciated. In the civil context, contemnors need not intend to thumb their noses at the court: they simply must deliberately do the act that the order forbids – here, supposedly “publishing” the girl’s name. If the Queen’s Bench contempt ruling stands, “publishing” for the purposes of contempt law will be different from publishing in other areas of our jurisprudence. To understand this, you have to parse its contempt ruling to distinguish what the court says about publishing from what it says about criminal contempts. The court has a reasonable doubt about publication because: the CBC did not publish the name after the ban, it simply allowed access to it; “access” to material does not necessarily mean it is published, never mind that “access” and “publication” can be synonymous in defamation law and under the Youth Criminal Justice Act; the media guide issued by the Alberta Court of Appeal says that allowing access is not publishing; an infringement of a constitutional right such as free expression must be precisely defined, and whether there is disobedience here is debatable; allowing access is not transmitting or broadcasting. 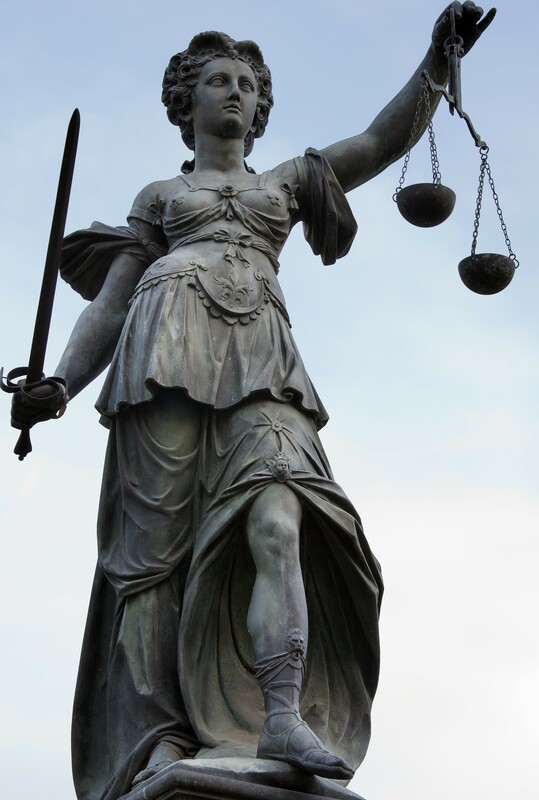 The court has a reasonable doubt about criminal contempt because: the girl’s name is available elsewhere all over the Internet and in print, including in newspapers and publicly-available court records; the CBC is not disobeying the order so much as disagreeing with Alberta’s interpretation of it, such that it is not “defying” anything; the CBC has a right and duty to report. As well, Alberta’s Queen’s Bench holds that CBC has not been “strident or even disrespectful” but principled in its disagreement with the Alberta Crown’s view of the ban, and that, with potential libels, we know our obligations from the start whereas here the CBC would have had to predict the future here (i.e., that the publication ban would issue). Perhaps anticipating all these difficulties regarding a criminal contempt, the Crown had argued that, alternatively, the CBC is in civil contempt. The court responds that the same doubt as to disobedience applies. This suggests that the Crown has failed to show (beyond a reasonable doubt) that the CBC intended to do what the order forbids. The Supreme Court’s injunction decision (refusing to order the CBC to take down the name temporarily) does hint at what that highest court might say if the contempt appeal reaches it. First, Justice Brown (for all nine judges) says that that the Crown’s application for an injunction and the contempt motion are linked, given that the Crown seeks temporary removal of the name based on its continuing allegation that permitting access to it is a contempt. Then he notes that, in (wrongly) ordering the CBC to take down the name pending the appeal of the contempt decision, the majority of the Alberta Court of Appeal admits that both the Crown and CBC positions are “arguable.” This, Justice Brown concludes, is “an acknowledgment that the Crown had not shown a strong prima facie case of criminal contempt.” Because the Crown could not show contempt even in this arguable, presumptive sense (for the purposes of a temporary ban on access), the Supreme Court overturns the injunction – which is why it might well find that there is no contempt for internet access to material that is posted before a court bans that publication. I recently began work on a book about plagiarism and the law. Given the subject’s lively controversy in this digital age of “everything’s up for grabs” – consider the lawsuit against Led Zeppelin for supposedly appropriating the music to “Stairway to Heaven”; the resignation of a member of the Toronto District School Board amid accusations that he had plagiarized his Ph.D. thesis; allegations that Globe and Mail columnist Margaret Wente had appropriated the work of others; and many instances in the academy, including my own experiences with plagiarism by my law students – it seems a good time for such a work, from a specifically legal point of view, on this fascinating subject. Of course, one of the first matters I have to consider is the distinctions between plagiarism and copyright violations. Plagiarism is passing someone else’s work off as your own. If we photocopy a story by J.K. Rowling without her permission but with her name still attached, we infringe her copyright in the work but we are not plagiarizing it. If we photocopy a song by Richard Strauss and replace his name with our own, we plagiarize it but do not violate his copyright: the song would be too old for copyright protection (assuming that it had not acquired a new copyright by being edited heavily and recently, perhaps, by scholars purporting to have just found Strauss’s letters about the song, or a new manuscript of it). Justice Gonthier correctly notes, “Generally, copyright enables the owner to prevent the unauthorized plagiarism and distribution of an original work. It is therefore these acts themselves that are prohibited, without regard to their purpose, be it mercenary or otherwise.” To put it directly, plagiarism can be copyright infringement, but they are not the same thing. In fact, the justice himself goes on to confound the two: “[I]nfringement of a work, in its most common sense, is synonymous with plagiarism or unlaw­ful appropriation. … Reproducing a work … amounts to plagiarism and constitutes an infringe­ment of the rights of the copyright owner.” Again, people often infringe without plagiarizing, because they don’t claim the copyrighted work as their own; infringement is unlawful use, period, of that work (whether you take credit for the work or not), where plagiarism is appropriation of voice, like identity theft; unless it constitutes some other separate offence at the same time (copyright infringement, conversion, fraud, etc. ), generally it is not illegal. Then again, we can plagiarize without infringing if we appropriate ideas or data. Copyright does not extend to those. Which brings me to a painful example from my own experience. Decades before the publication of Simon Winchester’s The Meaning of Everything, I proposed to a producer at a national radio network that I create a “biography of the Oxford English Dictionary.” The producer responded that he would consider the project. When he did not reply to my follow-up correspondence, I assumed that he was not interested. I never heard from him again. A few months later, I switched on his program to hear “The Oxford English Dictionary: A Biography,” written and narrated by someone else. At the time, I was concerned that making a fuss would have soured my opportunities for other writing and broadcasting work. So I fumed in silence. It occurs to me these many years later that I might have made a legal claim that, while copyright existed in neither the idea nor the title, the broadcaster’s appropriating the two together should attract sanction at law: cumulatively, there was a work-product capable of infringement. The producer had taken not just my idea, but my proposed approach, which did not concern simply the OED’s place in lexicographical history (a documentary idea), but its “personal” lifeblood – its conception among its “fathers,” its arduous development, and its continuing influence. In appropriating this and the associated title, the producer filched not just my idea, but its expression, which copyright law protects. As a writing career these days entails enough of a battering without having your ideas hijacked, besides, the personal and ethical violations continue to chafe, many years later. It of course was never about the small sum of money I might have been paid; it was about the principle – the blatant disdain for professional ethics – and the loss of professional opportunity. See, e.g., Jeffrey Miller, “Miami J’yce counsel on the lookout for synteresis,” Where There’s Life, There’s Lawsuits: Not Altogether Serious Ruminations on Law and Life (Toronto: ECW Press, 2003) at 139-44 (described on this website here). Théberge v. Galerie d’Art de Petit Champlain inc.,  2 2 S.C.R. 336 at 388, Gonthier J., in dissent. Ibid. at 393, 398. The defendant gallery had bought reproductions and lithographs of Théberge’s paintings and lifted them onto new media. It was not passing the works off as those of anyone or anything other than Théberge. The majority found the use to be lawful (non-infringing). I have mixed feelings about saying this: the law has long lived with “alternative facts.” And it’s lawyers and judges more than politicians who create them. Legal fictions, and fact-warping legalese, have been with us since the middle ages. Readers of my books and journalism will know my fondness for the “French fries are meat” cases – prosecutions during the early 1900s under Sunday observance (“Lord’s Day”) laws in Britain. 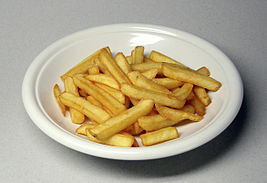 Faced with having to whack the poor who patronized fish-and-chip shops for their sabbath dinner – the underclasses whose purses did not stretch to the fish – the courts decided that “chipped potatoes” could comprise “meat” (which the legislation permitted to be sold, so that you could have your “Sunday joint” prepared commercially). 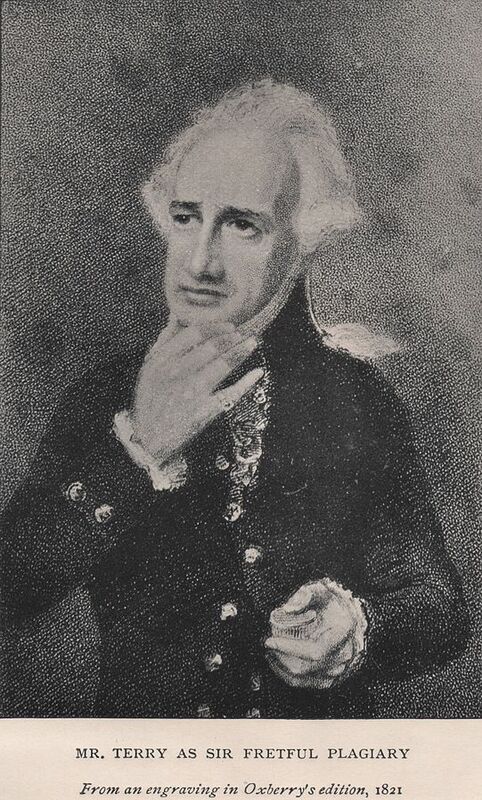 As Lord Alverstone, the chief justice of King’s Bench, put it, come Sunday it “would be ridiculous to say that, although a man may cook mutton, he must not cook an eel pie” or spuds: Bullen v. Ward (1905), 74 L.J. (K.B.). On further consideration, however, “meat” would not shape-shift to ice-cream sandwiches, never mind dictionaries that defined the word as food generally: Slater v. Evans,  2 K.B. 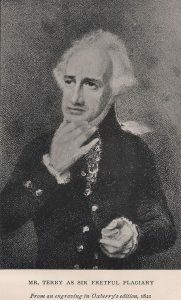 124.
through its owner, disclaims any vicious propensity, and contends that Mr. Cochrane brought this unfortunate attack upon himself by acting in such a manner as would lead any reasonable dog to suspect ill motives in Mr. Cochrane’s entry, and that, furthermore, Mr. Cochrane, while in the employ of [the dog’s owner], had on one occasion kicked the German shepherd and that the dog was therefore taking retributive and retaliative action. Given that the dog avoided destruction courtesy of the evidence supporting these assertions, it seems unreasonable to call the “reasonable dog” fiction facetious. Perhaps “bemusing” suffices, as with another Canadian case that tells us that a parking lot can be a “common bawdy house” if the prostitutes using it have sufficient control over the space, never mind that it is bare asphalt. At best, the reasonable dog might be an uber-“alternative fact” based on the reasonable person, the legal fiction against whom our law measures whether our own conduct merits praise or liability. But the chipped-potato and bawdy-house instances are not precisely fictions in this way. Calling fries meat, or a parking lot a bawdy house, is not exactly a lie, nor is it true only in the alternative universe of legal dialect. Still, if ice cream is not meat where “chipped potatoes” are, and bagpipes are not weapons where cucumbers can be, how explain the terrain of fictions rarely if ever noted as such, a near territory so vast that it would be impossible to map it comprehensively? These are instances when judges give truly uncommon or unexpected meaning to words or phrases – often to expressions as ordinary as “French fries,” but without the logic or linguistic support of the French-fries-as-“meat” cases. There’s the U.S. case which says that if you drive around with a gun in the bed of your pickup truck, you are not “carrying” it. Not be outdone north of the border, Ontario gives us a series of insurance cases interpreting the phrase “you are struck by a vehicle” to mean “you walk into a pole on a parked truck” and “a nearby accident blows your mind.” In the first case, a woman recovered damages for being “struck by a vehicle” after, sure enough, she walked into a pole on a parked truck. In the second, the court ruled that a woman could be struck in this way (and perhaps collect damages for both physical injury and mental distress) while sitting in her kitchen when a car crashed into her home without entering the kitchen or touching her. Such instances approach the political, with the judiciary seeming to reach a desired end by straining syntax beyond even the metaphysics of a “fertile octogenarian” – a hoary legal fiction which posited that humans of any age and physical condition can conceive children. For more detail on these cases and others, see Chapter Five, “Humpty Dumpty in Wig and Gown: Legalese as Dialect, or, the Philology of Precedent” in my The Structures of Law and Literature. Some of the discussion above grows out of my current work on my encyclopedia of legal fictions and presumptions, and constructive, deemed, and implied entities, slated for publication by next year. It used to be that our law distinguished between attempts that were impossible in fact and impossible attempts legally. “Factually impossible” meant the intended act was illegal but somehow the “attemptors” were prevented from completing it, even though they thought they could pull it off. These cases include the notorious R. v. Collins, an attempt to pick an empty pocket. Legal impossibility described a situation where the “criminal” thought he was attempting something illegal but the act was legal. Canadian cases of this variety include R. v. Alicandro, in which the accused was convicted of child-luring over the Internet, when obliviously he had been “luring” a male police officer (in a sting operation) and not a girl under the age of fourteen, and, most importantly, U.S. v. Dynar, in which the accused believed he was helping to launder the proceeds of crime when in fact the money was provided by police in another sting operation. The distinction between these two “impossibilities,” or confusion about it, led to illogical results – in Collins, that you could not attempt theft from an empty pocket, and in Dynar the dissenting justice’s insistence that, if the money is not in fact proceeds of crime, there is no attempt to launder it. This confounds possibility with execution or the specific actus reus for attempts (as against completed crimes), and confuses attempts with completed crimes. It ignores that if you are unaware that the pocket is empty or the money has no criminal taint, you are still attempting to steal or launder. In either case, insofar as we are considering an inchoate (incomplete) crime, the requisite mens rea (intention) is present; whether the actus reus is possible is irrelevant. Insofar as we might want to require an achievable actus to establish even an attempt (which logically seems unnecessary), we arrive in the realm of legal fiction. That is, to the extent that we posit that the crime could have been completed, there is a legal fiction – that the pocket could be picked, the girl lured, the money laundered. Indeed, if we insist on preserving the casuistry of the theory of “impossible attempts,” we can posit both a deeming and a fiction: we deem the actus reus possible (we deem the pocket to contain something, the male officer a girl, the money unlawfully obtained) such that we create a legal fiction that the crime could have been completed as attempted. R. v. Collins (1864), Le. and Ca. 471. “24 (1) Every one who, having an intent to commit an offence, does or omits to do anything for the purpose of carrying out the intention is guilty of an attempt to commit the offence whether or not it was possible under the circumstances to commit the offence.” R.S.C., c. C-34. Website Creation: Me and Sid Enterprises Ltd.
©Copyright 2016 Jeffrey MIller/Burden of Proof Research Inc.